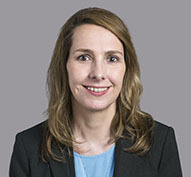 Gibson Dunn | Howell, Anna P.
Anna Howell is a member of the firm’s Oil and Gas, Energy and Infrastructure, Mergers and Acquisitions and Private Equity practice groups. Ms. Howell advises on complex cross-border transactions in the energy and natural resources sectors with a particular focus in the oil and gas, liquefied natural gas (LNG), power and mining sub-sectors. Ms. Howell routinely advises high-profile clients on some of their most prestigious and challenging matters to take place in the market, including first entries into both mature and emerging markets throughout Europe, Africa, Latin America, Asia Pacific, and the Middle East. Her experience ranges from cross border M&A, the development and financing of projects, joint ventures and restructurings. Anna understands and has advised on the whole energy value chain from upstream concessions and transportation arrangements to downstream commodity sales and trading. Chambers Global describe Anna as a legal practitioner who “is one of the standout energy lawyers both for M&A and oil and gas work. She’s a very smart lawyer, and has a very intelligent approach to negotiations and tactics” and who “consistently impresses clients who value the ‘constant dialogue’ with her.” Other leading publications such as Chambers UK, Chambers Asia Pacific and The International Who’s Who of Business Lawyers – Energy routinely rank Anna as a leading individual in the energy and natural resources sector. Ms. Howell is ranked as highly regarded in IFLR1000 2019 for M&A, Project Development and Project Finance. She is also recognised in Legal 500 UK 2019 for M&A: upper mid-market and premium deals. Prior to joining Gibson Dunn, Ms. Howell spent over 11 years practising in Asia and has worked in London, Singapore, Hong Kong and Beijing.